This week I was hammering a picture into the wall that is above the stairs that lead to the downstairs recreation room (Ray’s “man cave”), and when I finished, I tripped on my slippers that I wear to keep my feet warm in winter. 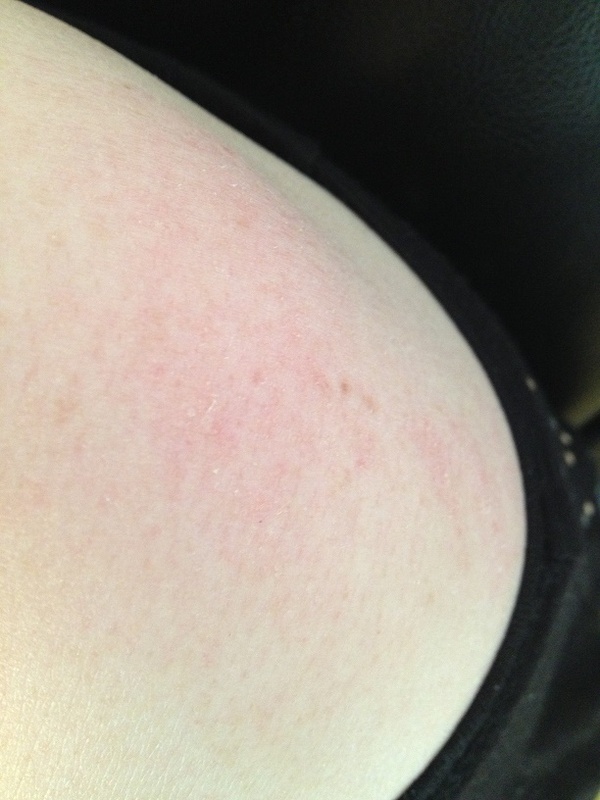 I fell forward, rolling down several stairs, hitting my left cheekbone, left shoulder, left wrist, and left knee. This is the first time something like this has ever happened and the fall scared me. I am thankful that God protected me and I didn’t get a concussion, a broken bone, or wasn’t more seriously injured. 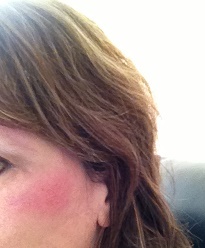 Here’s a pic of the impact to and rug burn on my left cheekbone (it is healing and I’m praying it doesn’t leave a scar). 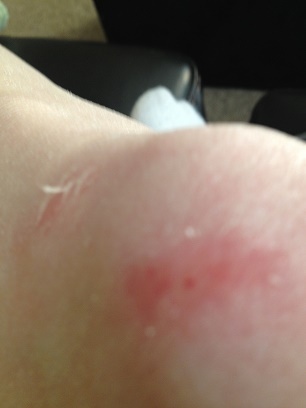 Here’s a pic of my scraped knee. My left shoulder wasn’t very red but it is hurting the most. I still have a small bruise on my wrist and knee, a rug burn on my cheekbone, and my left shoulder and left wrist still hurt. My shoulder needs the most prayer. I texted my husband Ray at work and he came by our house to check on me for injuries. (What a guy!) He didn’t believe I had a concussion, and advised me to keep ice on and off on my cheekbone, wrist, and shoulder. 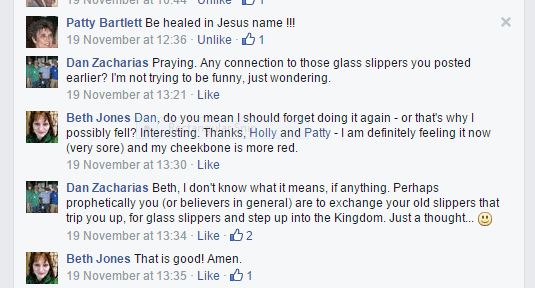 I posted on Facebook for friends to pray for me. 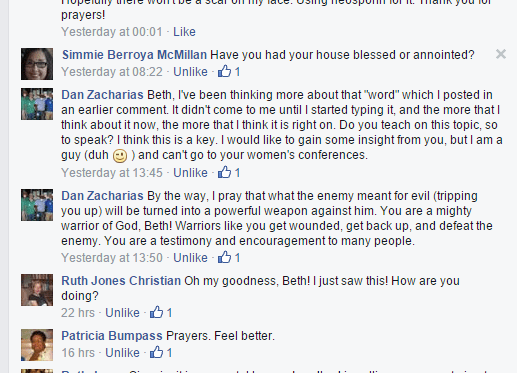 One of my friends from Sunday small group, Dan Zacharias, posted on my Facebook wall a word which I believe was right on. Please understand, that I have been attending Dave and Ruth Christian’s small group (home church) for over a year now, and Dan has shared words of encouragement with me and others that were extremely accurate…so he isn’t just some random person on the street who gave me a prophetic word. The Bible says, “Test all things; hold fast what is good.” (1 Thessalonians 5:21, NKJV) Dan has a reliable prophetic history. I trust that he hears God’s voice. I believe this was a word from God, for me and all believers. Which of these are tripping you up? This is true. Satan hates the people of God. He is doing all he can to kill, steal and destroy – to keep us from fulfilling God’s calling for our lives. But through Christ we are unstoppable! It is time for you to exchange your slippers that trip you up for the beautiful, Divinely-Designed glass slippers – your unique purpose and mission from God. Cinderella knew that to go to the ball, she couldn’t wear her old rags and old slippers. She needed a new dress and new shoes. The fairy godmother provided a beautiful new gown and extraordinary glass slippers. She stood out among the rest of the women attending the ball and danced with the prince. She had to run away at midnight before everything changed, but she left behind a glass slipper. He was determined to find the owner of the glass slipper and his servants discovered that was Cinderella. Cinderella was the one he wanted to marry. She became the radiant bride of the Prince. Just as the Prince chose Cinderella to be his bride, Jesus our Prince has chosen you and me to be His glorious Bride. Get up! It’s time to walk in your glass slippers – your unique shoes (purpose). Remove whatever obstacles or hindrances are keeping you from doing what God said for you to do. Ask God what those obstacles are that are standing in the way between you and God and your purpose/life assignment. Exchange your old slippers for your glass slippers; step out in faith and do what God has called you to do and to be! Thank you to all who prayed for me after the fall. I appreciate your prayers so much! Please keep praying for my left shoulder and left wrist, and that my face will completely heal with no scarring. 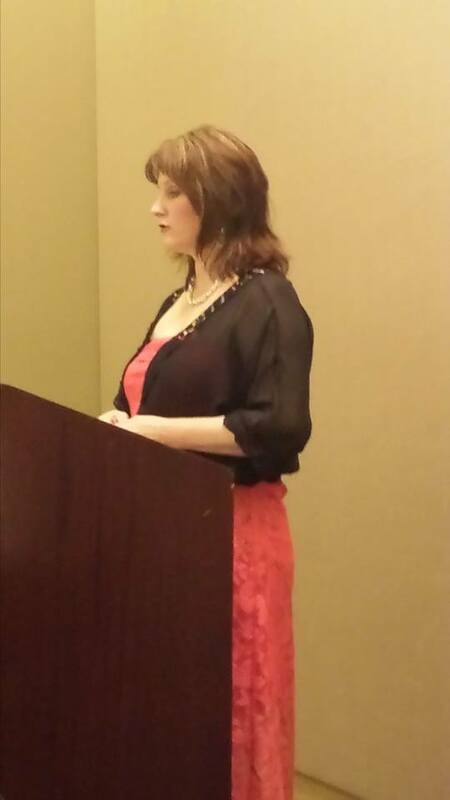 Thanks so much to my family and friends who cover me in prayer-and to God, my protector and healer!